Experience an adventure of a lifetime with an Arctic voyage through the Norwegian fjords, a snowmobile tour in Spitsbergen, a dog-sledding excursion near the Russian border in Kirkenes, a visit to a reindeer park, a king crab safari and more. This amazing self-guided tour also includes overnight stays at the SNOWHOTEL in Kirkenes as well as in a wilderness camp in Svalbard. You will also have a chance of seeing the majestic northern lights. Arrive to Gardermoen Airport in Oslo. For an easy and comfortable way to get to your hotel in central Oslo, we are happy to arrange a private transfer for you. 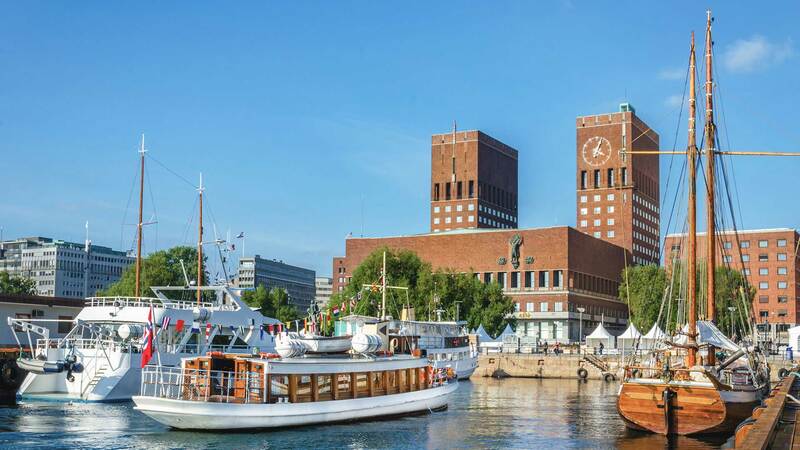 If you arrive early, we suggest buying an Oslo Pass for free travel on all public transit along with free admission to over 30 museums and attractions plus special offers on entertainment, restaurants, shops and more. The pass can be purchased at tourist information centres or at most hotels and major attractions in the city. Spend the night at a hotel in central Oslo. Enjoy breakfast at the hotel before heading to the airport, where you will catch a flight to the North where the second leg of your holiday is about to begin! Your flight takes you 400 km north over the Arctic Circle to the winter wonderland of Kirkenes. With a population of only 3,300, including the native Sami people, this charming little town boasts an impressive range of things to see and do. After your transfer to the hotel and some time to settle in, experience your first real Arctic adventure of this trip—a thrilling dog-sledding tour through the Pasvik Valley along Norway’s north-eastern border by Russia. If the conditions are right, you may even see the northern lights dancing across the night sky. This activity includes an authentic Norwegian dinner served in a lavvu, a traditional Sami tent. Spend the night in Kirkenes. Start the day with a hearty breakfast and then off you go to your next Arctic activity—a King Crab Safari! Your guides will take you by snowmobile-sleigh over the frozen sea to the spot where you will assist with pulling up today’s catch. The reward for your efforts will be an enticing lunch of freshly cooked crab in a rustic fishing hut. 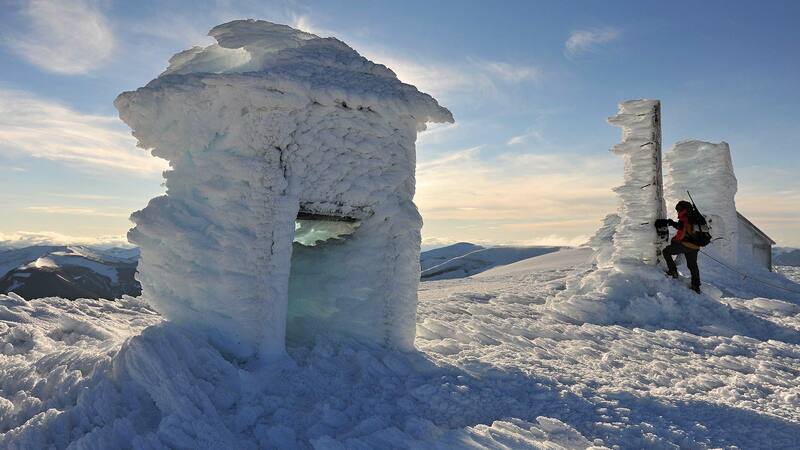 *We will provide additional information regarding your overnight at the Snow Hotel, such as details about the facilities, what type of clothing to bring, what is provided by the hotel, etc. Spend the morning warming up in the Snow Hotel’s sauna and enjoying breakfast before your next activity—an Arctic cruise to Tromsø with the Hurtigruten Coastal Voyage. 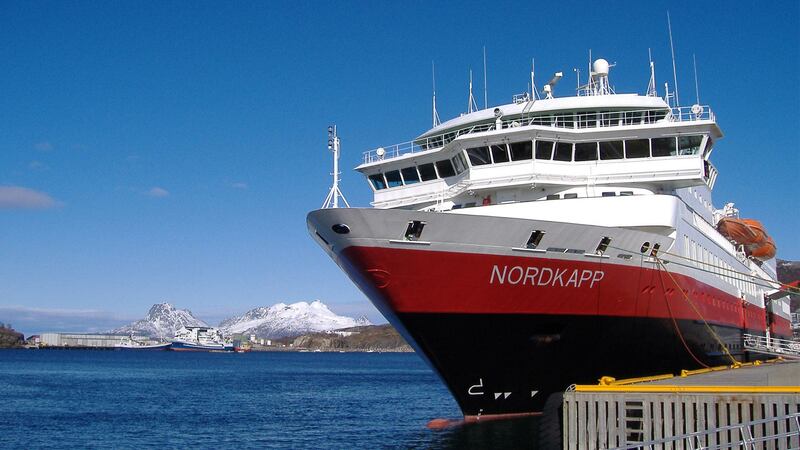 You will be picked up from your hotel and taken to the Hurtigruten Terminal at the dock. Departing from Kirkenes at 12:45, the ship crosses Varangerfjord, Norway's only east-facing fjord, before arriving at Vardø, the easternmost point of the country. The cruise also rounds the Varanger peninsula, where archaeologists unearthed a settlement dating from around 9000 B.C. In the evening, the ship calls at Båtsfjord, the site of some Stone Age remains, and Berlevåg, home to Tanahorn Mountain, believed to be an ancient Sami sacrificial site. Spend the night on board the ship. Early in the morning, the ship calls at Honningsvåg and Havøysund before making a 1.5 hour stop at Hammerfest, the world's northernmost city. Despite its remote location, this small community of just over 5,000 inhabitants was the first in Norway to have electric street lighting and its own power station. The voyage then continues south towards Oksfjord and calls at the old trading post of Skjervoy. Finally, the ship docks at 23:45 in Tromsø, where you will disembark. Spend the night in Tromsø. Highlights: Hammerfest, Oksfjord, Skjervoy, Tromsø. With over 64,000 inhabitants, Tromsø is by far the largest city in northern Norway though it still retains a cosy small town atmosphere. Nicknamed "The Paris of the North”, this was a major port of call for many Arctic expedition and hunting ships in the 19th century--a part of history that is still evident here. Today, take your time and explore this charming city with its lively cafés, shops, restaurants, museums and other attractions. Enjoy the morning in Tromsø before heading to Tromsø Airport for a 2-hour flight to Svalbard. Arrive early in the afternoon at Longyear Airport in Svalbard followed by a transfer to your accommodation for the night. After check-in, the rest of the day is free time to explore Longyearbyen as you wish, perhaps with a visit to the Svalbard Museum to learn more about Svalbard‘s history as a hunting and mining outpost. For dinner this evening, we recommend the charming Restaurant Kroa or the lovely Huset Restaurant. At 10:00 am the guide will meet you in the reception at your hotel. You will have good time to sit down with the guide, talk about the coming trip, possible routes and needed equipment. After the meeting they will give you warm clothing, overalls and winter boots, and then head to the snowmobiles. It is time for the Adventure with Arctic Luxury! After a lesson for snowmobile drive and safety issues, you will head out to the wilderness. You will drive over glaciers, past snow covered mountains and frozen fjords. While sitting on the snowmobile you can admire the magnificent arctic landscape in blue and white. 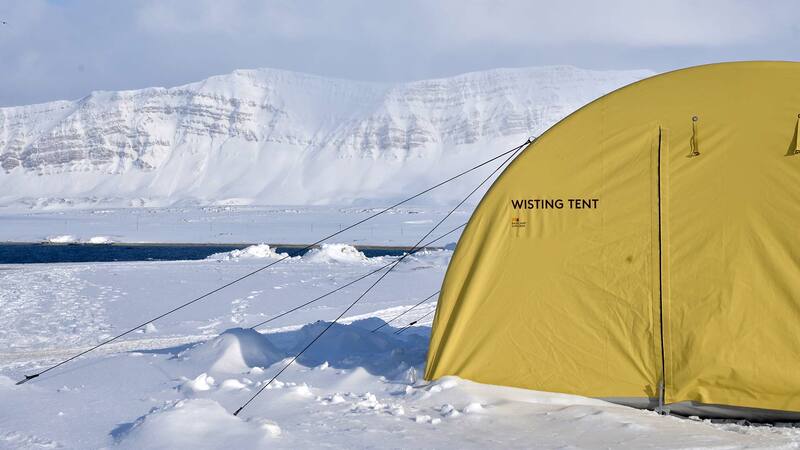 You will eat expedition lunch on the way and you will get to experience stillness and silence of the arctic. Something that is difficult to find in other places. 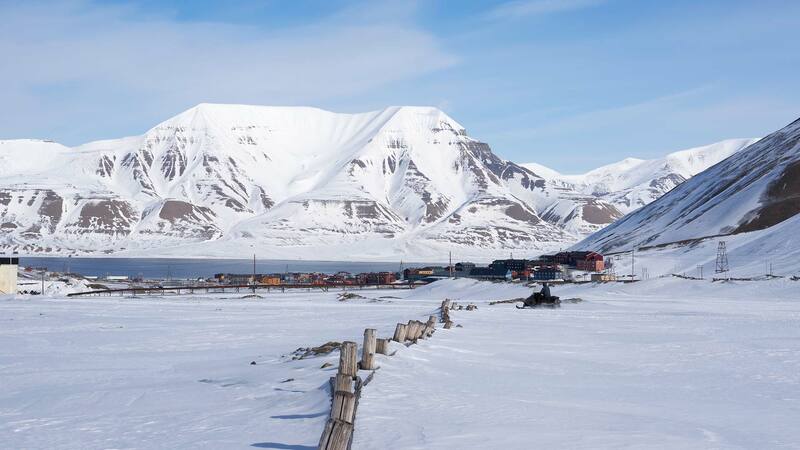 Before the evening you will arrive to Isfjord Radio, a remote boutique hotel, 90 km from Longyearbyen. Here the staff will warmly welcome you to the luxurious hotel and serve you a delicious 3-course meal. What a way to finish an adventurous day! Breakfast is served from 08:00. After a substantial breakfast it is time to head into the beautiful landscape of Spitsbergen. The guide chooses the day’s route depending on the weather and snow conditions. If the weather is good you can have a change to visit the Russian mining town Barentsburg, which is a home for some 300 persons. 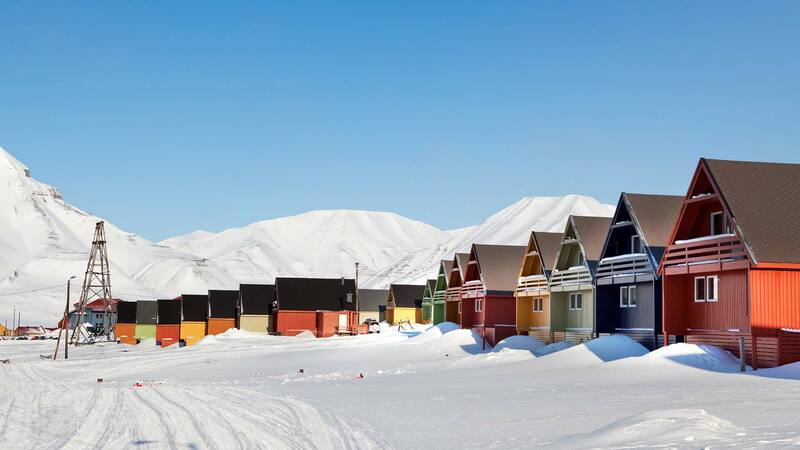 Explore the life of an isolated arctic town and visit some Russian buildings. Here you can really feel the history of Spitsbergen. Arrival in Longyearbyen during the afternoon. Before departing this amazing place, the early part of your day is free for a stroll around Longyearbyen, a visit to the Svalbard Gallery, some last-minute souvenir shopping, or an optional dog-sledding or ice cave tour. In the afternoon, take the airport bus or taxi to Longyear Airport for your return flight to Oslo, from where you will continue onwards to your final destination. Note: Flights are not included in the price. Our travel consultants can assist with booking domestic air travel between cities in Norway or Svalbard. We can also add an extra night in Oslo at the end of the tour if there isn't enough time between your departure flights. It's been a while since my son and his bride have retuned from their Icelandic dream honeymoon. I wanted to thank you for handling the arrangements so professionally and also tell you that every aspect of the trip turned out perfectly. Each hotel was warm and comfortable and always accommodating, awaiting their arrival. Your recommendations for food worked out beautifully, the car was perfect and GPS was a good idea! Thank you for your part in making their Iceland experience the dream they were hoping for. It gave them a chance to revel in the beauty of quiet nature and ponder a simpler lifestyle from that of their own in NYC. They had a busy year leading up to the wedding and you created the perfect trip to relax and let the experience of a beautiful wedding sink in. They spent one evening watching the Northern Lights with another couple celebrating their 40th wedding anniversary, who had come specifically to see that sight. Imagine that! All the best to you and happy holidays! 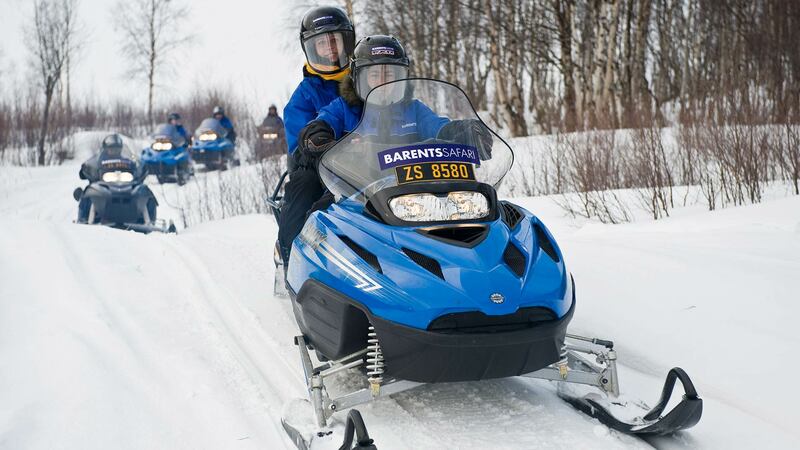 Upgrade to a solo snowmobile in Svalbard (recommended). Dog-sledding tour in Svalbard on the day of departure. Ice cave tour in Svalbard on the day of departure. Our travel consultants can assist with booking air travel between Oslo and Kirkenes, between Tromsø and Longyearbyen, or between Longyearbyen and Oslo. This tour can be customized, including additional nights in Oslo, Tromsø, Kirkenes, Longyearbyen or Murmansk in Russia on request. We can also combine this tour with other tours in Norway, Iceland or Sweden. Contact us for details. By adding extra day(s) to this package, we can offer you a day tour to Pechenga or an overnight stay in Murmansk, both in Russia. Contact us for details. Due to flight times between Svalbard and Oslo in Norway, travellers may need to spend an extra night in Oslo on departure. Due to limited space on the snowmobile in Svalbard, travellers may only bring one small rucksack (preferably waterproof) of personal items on to the snowmobile tour; the remaining luggage will be securely stored in Longyearbyen.